Körslätts farm is an organic chicken farm located in Skåne, in the far south of Sweden. 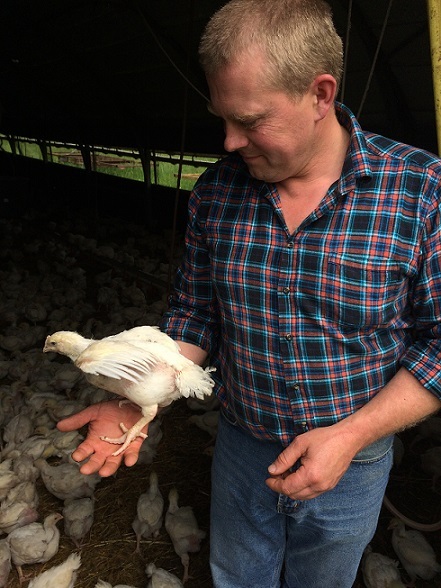 Magnus Bengtsson tends the farm which has been certified as organic since 2000. Today, the farm consists of 130 hectares of fields, 90 hectares of forest and chicken. Additionally, Magnus runs a machine station. The chicken farming generates deep litter manure which is stored under roof. There are ideas of extracting compressed biogas for heating of the mobile chicken houses (currently heated with propane), but the investment has not been possible to realize so far. Since the farm tries to become as self-sufficient as possible when it comes to fodder, it is important to grow as much protein crops and grain as possible. 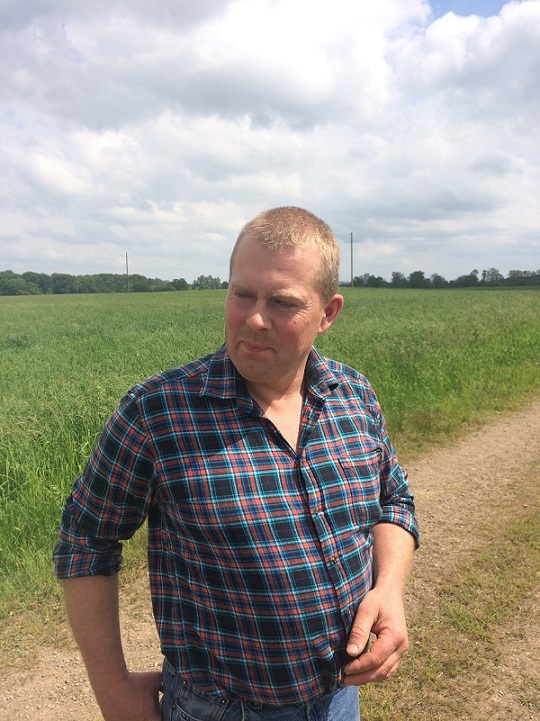 Magnus Bengtsson wants to improve the crop rotation by growing ley with catch crops. He has planned 10 hectares for several types of catch crops, managed in different ways. I think the project sounds interesting and see it as an opportunity to organize the job I already started on the farm. To refine and document the effects of different measures is meaningful. All on-farm residues are composted. Fresh piles are consisting of biomass of chicken manure and forage legumes. Due to the regular turning of the compost piles, CH4 emissions are reduced. Compost piles are covered with compost fleece to avoid drying off and nutrient leakage. Regular compost application contributes to C sequestration in soil. Furthermore, N2O emissions from mulching are avoided and nitrogen fixation of forage legumes is increased. 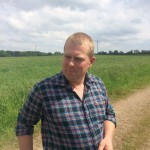 Farm introduces triticale-winter pea mixed culture which improves yield stability of peas which are otherwise cropped in monoculture along with the problems of logging, weed and disease infestation. The protein yield per ha will be increased along with a reduction of N2O emission due to integrating of nitrogen fixing crop and reduced nitrogen fertilisation. The higher aboveground biomass of this practice compared to its mono-cultural counterparts also contributes to carbon sequestration when incorporated into soil. Furthermore farm maintains the 28.6% proportion of forage legumes in the crop rotation (2 out of 7 years) instead of going for 1 year of cereal cropping. Forage legumes contribute to N fixation (reduction of N2O emission) and carbon sequestration. Farm avoids ploughing prior to cash crop cultivation and employs undersown cultivation of catch crops. By employing these practices diesel consumption will be reduced along with humus accumulation in soil (C sequestration). The farm installed hedgerows and tree strips which lead to carbon sequestration in above- and belowground biomass and in soil. Part of the woody biomass is used for heating and thus replaces fossil fuel (CO2 mitigation). During SOLMACC there will be a focus on a 600 meters length of riparian buffer zone on both sides of a watercourse running. 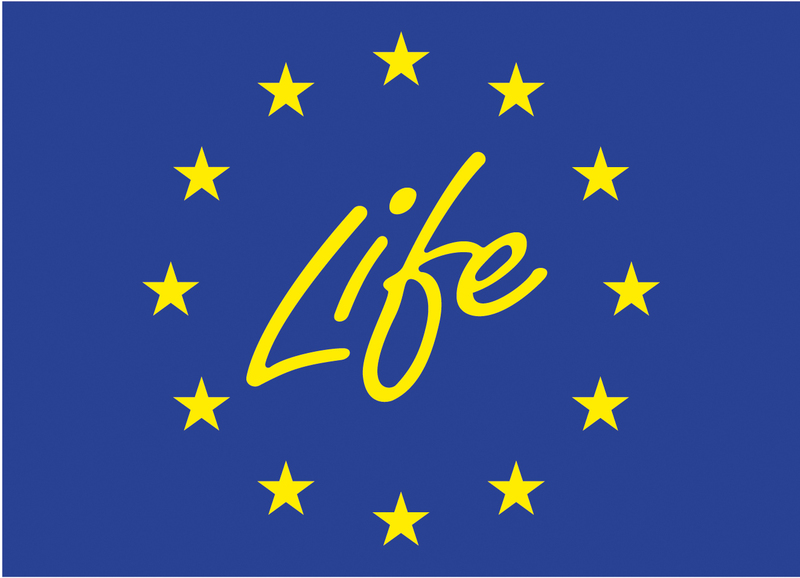 The present species composition will be analysed and proposals for improved management and new plantings will be made.